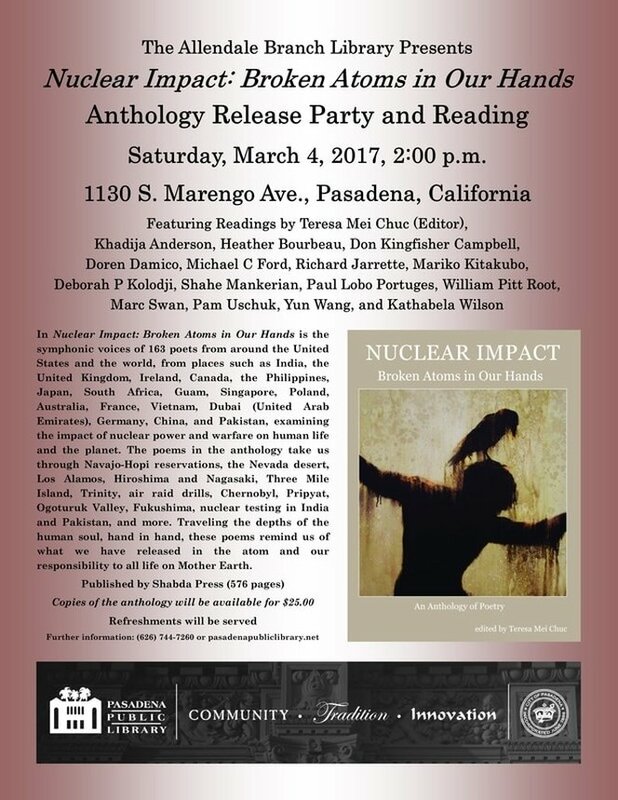 2018 (exact date TBD) Nuclear Impact: Broken Atoms in Our Hands Anthology Reading at The Writer's Center in Bethesda, Maryland. ​Tuesday, May 9, 2017, 6:30 p.m. to 8:00 p.m., Nuclear Impact Utah: Poets in the Nuclear West. 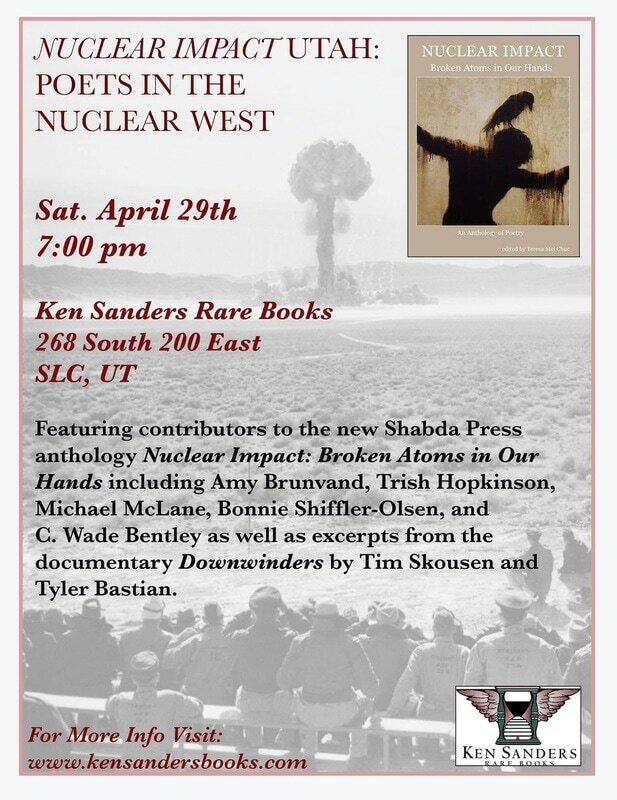 Poets will be reading their work from the anthology Nuclear Impact: Broken Atoms in Our Hands at Pioneer Book located at 450 West Center Provo, Utah 84601. Tokyo, Japan. Mariko Kitakubo reads from Nuclear Impact: Broken Atoms in Our Hands.